This show was great keep it going. Love it – please renew it. Cannot wait until it airs again. Loved it! Yes I watch. And I am glad that it is being renewed. Glad there will be a season 2 but I agree with others that it needs to move more quickly. Also liked V a few years ago but I felt it moved too slow and was cancelled after 2 seasons. If season 2 will be it for Colony then I hope there is an ending. Happy to see there will be a season two. I like the show but to wait 10 month for the next season is too long. I may have forgotten about it by then. Too bad! 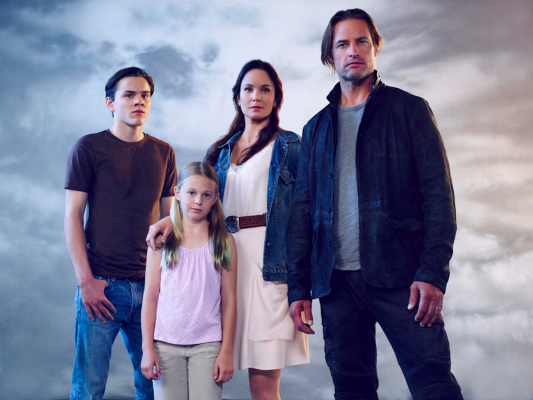 I love Colony & so happy it is renewed. Josh ,& Sarah have great chemistry. Wish it was not so long to wait for season 2. My wife and I really enjoy this show. You have to record it because if you miss an episode you can get lost. We are glad it was renewed for a second season. Absolutely LOVE Colony! Sorry to see the season come to an end but so happy it’s been renewed. Just hate to have to wait so long for it’s return. Absolutely loved Colony. Nice change to the usual cop shows or hospital shows! That being said, season 2 needs to start soon or viewers will move on. I hate having to wait a long time between seasons, I lose interest and I am sure I am not alone in this. Our attention spans have decreased immensely, especially when it comes to TV. Wonderful concept. Love the story line and the actors/acting. What’s up with the ratings? Colony should have a much higher rating. USA needs to do a better job of marketing the show. My wife and I found this show while surfing and discovered Josh Holloway from Lost was in it so we took a chance and watched it. Now we want more of the show! USA has got a winner.